A couple who visited the Bridge has decided to donate 40 tickets for some well deserving youth to see Black Panther. They loved the positive messages Black Panther has to offer. Though race/ethnicity of the youth attending is not a factor, the donors wanted to make sure black youth saw their values, worth, representation, and likeness from all aspects. 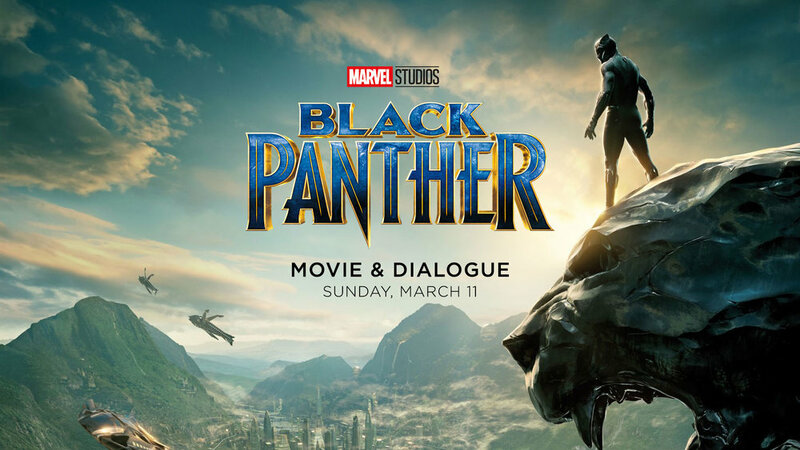 We will secure tickets to see Black Panther for the 1:15pm show on Sunday, March 11 at the Regal Cinemas Majestic. The movie is just over 2 hours. After the movie (approximately 4pm), we will walk as a group to the Restore Church Living Room where we have our monthly youth night to unpack the movie for about 90 minutes to 2 hours. Youth are encouraged to bring a friend (or two)! Please keep in mind that this is a youth outreach event, therefore the 40 tickets are for the youth. Our youth leaders will chaperone the movie and facilitate the dialogue. We just need you to get your youth and their friends to this awesome opportunity. If adults would like to attend with the group, additional tickets can be secured at the group discount rate. Parents can either drop their children off at the theater or if they have signed a waiver, can right with a youth leader from Takoma Park Middle School after the worship experience to the movie theater.